A stylish and unique interpretation of our bestselling Lovely Crystals watch joins the collection for 2019. Full of modern elegance, the two-tone asymmetrical timepiece features 30 Swarovski crystals playfully moving along the case and bangle. 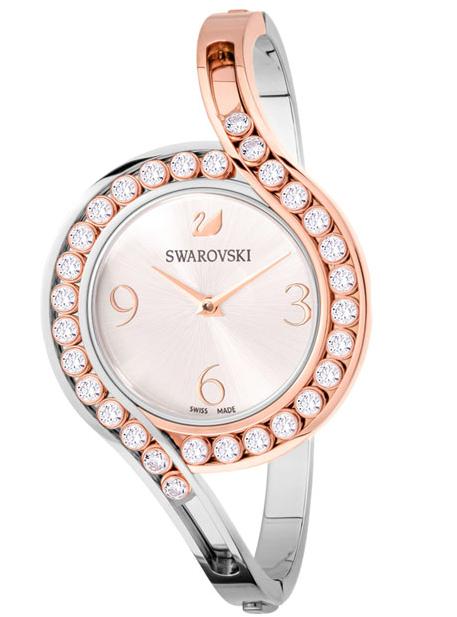 A white silver-tone sunray dial adds a glam finish to this beautiful and contemporary watch. Sensual and timeless, it will add playful brilliance to your wrist. Case: 32 mm, water resistant to 50 m, Swiss Made.